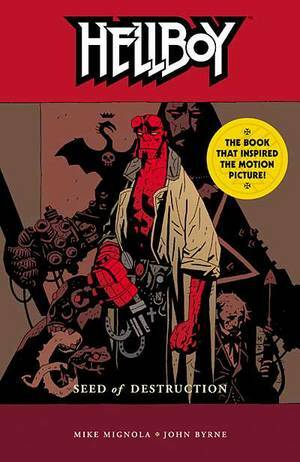 Dark Horse presents new editions of the entire Hellboy line with new covers, beginning with Seed of Destruction, the basis of director Guillermo del Toro's blockbuster films. Hellboy, the world?s greatest paranormal investigator, is the only thing standing between sanity and insanity as he battles the mystical forces of the netherworld and a truly bizarre plague of frogs. And if he fails, we all fail with him!